Northern Michigan turned out to the Traverse Magazine Red Hot Best 300 Bash at Turtle Creek Casino & Hotel to support three great causes AND have a good time. Traverse City (May 20, 2011)–Today in Traverse City, after the roadies have packed up the guitars, the last wine glass has been cleared away and the candles have burned out, the effects of the Traverse Magazine Red Hot Best 300 Bash held on Tuesday night, May 17 still glow in Northern Michigan because three deserving Northern Michigan charities will now divide $6,580 in ticket proceeds: The Manna Food Project, Leelanau Conservancy and the Traverse Health Clinic. The Red Hot Best 300 in 100 categories were chosen by more than 8,000 voters last February and March and first, second and third were unveiled at the party with awards and the first release of the June Best Of issue of Traverse, Northern Michigan’s Magazine. More than 7,000 companies, people and places were nominated during the Best Of voting in February and March. The resulting first, second and third place winners in 100 categories were invited along with the public to the Red Hot Best Bash at Turtle Creek Casino & Hotel on Tuesday, May 17 from 6-9 pm. At the Red Hot Best Bash, each winner received a plaque personally signed by Traverse, Northern Michigan’s Magazine founder Deborah Wyatt Fellows. Nearly 600 party guests including ticketed guests, winners and media came from Traverse City and Petoskey, from Old Mission Peninsula and Leelanau County. And Manistee, Benzie and Boyne City. They came, dressed in red and red hot tamale boxes and belly dancing outfits. A video of all the hoopla is now available on www.MyNorth.com/RedHotVideo. 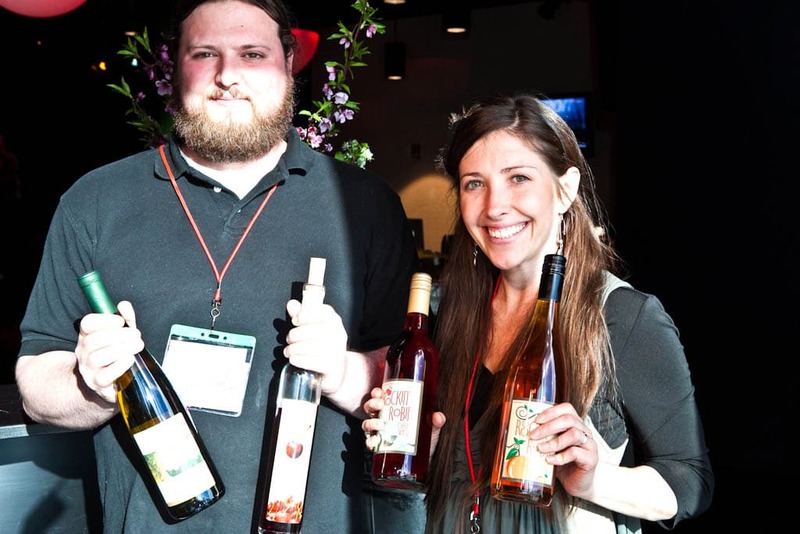 More than 25 of the top Northern Michigan wineries, restaurants, bakeries, coffee houses and breweries brought the best food and drink in Northern Michigan to treat the guests at the Traverse Magazine Red Hot Best 300 Bash. Generous sponsors, the Griffin Beverage Company and Northern Natural Wines, shared more great Michigan beer, organic wines and specialty sodas in Turtle Creek’s Level Three Lounge. Traverse Magazine invited winning entertainers as well. The Bash atmosphere was hot all night with entertainment from singer/songwriter Drew Hale, two twirling belly dancers, singer Katie Holt and guitarist Ben Swan, comedian Anita Merlot and DJ Ricky T.
Each guest left with Red Hot gift bags brimming with a $10 certificate from Turtle Creek Casino & Hotel, samples from Pavlova Salon, a free loaf of bread from Crooked Tree Breadworks, a gorgeous Petoskey stone postcard from Grandpa Shorter’s, free appetizer certificate from Magnum Hospitality (Red Mesa Grill, Pearl’s, Cafe Sante) and more. Also in each gift bag? A copy of the Red Hot Best June 2011 issue of Traverse, Northern Michigan’s Magazine, containing the list of winners in the 100 Best Of categories—top secret until the night of the Red Hot Best Bash! “We’ve been getting advance orders for the Red Hot June issue for months,” says Fellows. “Readers have told us they plan on visiting all the winners. And that’s what this is about: getting people out and about in Northern Michigan. Manna Food Project: This food bank warehouse distributes surplus food to 34 pantries and agencies throughout Northern Michigan—helping to assure that no one in our blessed region goes hungry. Leelanau Conservancy: Has been working tirelessly for over two decades to protect the pristine land and water of the spectacularly beautiful Leelanau Peninsula. Traverse Health Clinic: Is the largest safety net health provider for the uninsured in Benzie, Grand Traverse and Leelanau counties. Griffin Beverage Company was started in 1967 when Bob Griffin Sr. and Nancy Griffin entered into a partnership running a West Branch distribution center and Traverse City bottling operation. The combined company produced and sold various soft drinks, from Crush, to Coca Cola. The company also distributed many different beer and wine brands in the West Branch area, including Anheuser-Busch and Stroh’s brands. In the following years other companies were acquired and the partnership changed as did the market coverage area. MyNorth Media, founded as Prism Publications Inc. 30 years ago by Deborah Wyatt Fellows, publishes Traverse, Northern Michigan’s Magazine, Northern Home & Cottage, MyNorth Vacation Guide and MyNorth Wedding, in addition to several other print and online publications. It also produces MyNorth.com, the online home of Traverse, Northern Michigan’s Magazine. MyNorth Media is also the producer of the Red Hot Best of Northern Michigan Bash and the June issue of Traverse Magazine revealing the Red Hot Best of Northern Michigan finalists and winners. Traverse Magazine and its staff have won more than a dozen national and international awards for excellence, including a 2008 silver award for general excellence from the City and Regional Magazine Association and the 2007 “Magazine of the Year" award from the International Regional Magazine Association. MyNorth Media has also published Reflections of a Life Up North, a coffee-table book of stunning photography from Traverse Magazine paired with a collection of Fellows’s columns, The Cottage Cookbook and 101 Ways to Love Traverse City. MyNorth Media is also a proud sponsor of many events including the Traverse City Film Festival, Traverse City Comedy Arts Festival and Elk Rapids Harbor Days. The privately held company is headquartered in Traverse City, Michigan. For more information visit MyNorth.com or call (231) 941-8174.